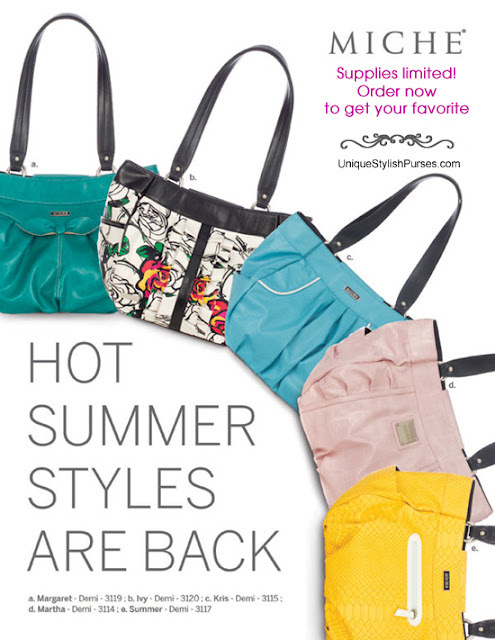 Unique Stylish Purses | Miche Bags: Miche Hot Summer Demi Shells, Favorites are Back! Miche Hot Summer Demi Shells, Favorites are Back! If you love one of them or all of them, order now... these are so hot, they'll be gone in a flash! These hot Miche Demi Shells have been sold out for months! These girls are back for a limited engagement until they are sold out. If they sell as fast as they did at their debut, we suggest you order your favorite(s) today before they retire for good!